A versatile round shoulder dreadnought for left-handed players with solid tonewoods and great projection and tone. The 317 Grand Pacific Dreadnought Left-Handed acoustic guitar features a new Taylor shape for 2019 that delivers a new Taylor sound. Taylor's 300 Series has introduced countless players to the pleasures of the all-solid-wood, USA-made acoustic experience. It is also the most approachable entry point in the Taylor line to the Grand Pacific round shoulder dreadnought. Built on the innovative V-Class bracing platform, the 317 Grand Pacific Left-Handed acoustic guitar is a fully realized example of how body shapes and tonewoods can be sculpted to create distinct and highly desirable tonal palettes. The 317 Grand Pacific is a unique entry to the dreadnought category, possessing clear low-end power, tonal consistency and sweeping versatility. The 317 Grand Pacific Dreadnought Left-Handed acoustic guitar ships in a luxurious hardshell case with Western floral pattern, made by Taylor for optimal fit and protection. Experience a dreadnought like no other. 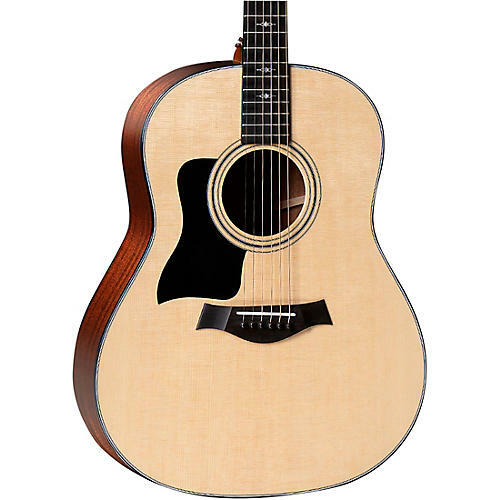 Order the 317 Grand Pacific Left-Handed acoustic today.